Join thousands of participants in cities across the US throughout the month of October for Docomomo Tour Day, an annual celebration of modern architecture and design. Discover the architecturally distinguished Foote School, designed by E. Carlton Granbery and Diana Allyn Granbery in the late 1950s. The Granberys incorporated modern aesthetic and “California-style” into the Foote School’s design. The building, with its floor-to-ceiling windows and detached spaces, was designed to embrace nature and get students outside frequently. The color scheme, bright oranges and yellows, was chosen to stimulate children’s creativity. The project was recognized with numerous awards, including the 1965 Merit Award from the Connecticut chapter of the American Institute of Architects. The tour will be led by AIA award-winning architect George Knight. Free and open to the public. Registration is required by October 3 to info@nhpt.org or (203) 562-5919. 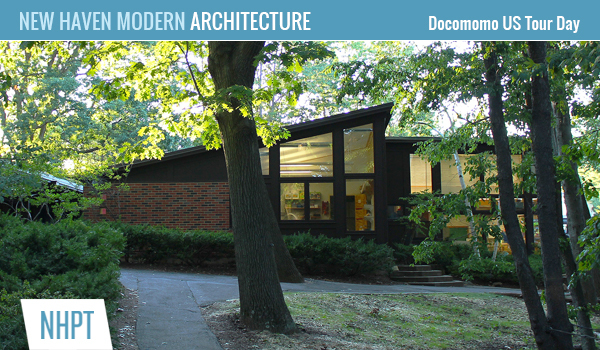 Click here for more information on Docomomo Tour Day across the country!